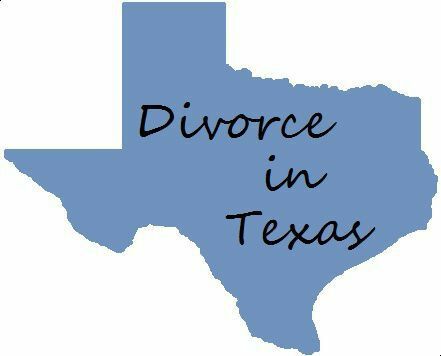 The Divorce Process in Texas | The Ashmore Law Firm, P.C. When you are facing a divorce, chances are you are feeling uncertain and unstable about your future. Who wouldn’t? It can be even more overwhelming if you are unfamiliar with the divorce process. While an experienced lawyer can help you with the procedure, it is important that you become familiar with the steps involved. Here is a brief overview of the steps. The Original Petition for Divorce is the first step to begin the process. This document will simply identify the parties in the divorce and state the reason for divorce. It is important to understand that once the petition is filed, you are in litigation. There is a 60-day waiting period in Texas from the date of filing of the petition with the court. That means that a divorce cannot be final for at least 60 days after filing. But, it does not mean that the divorce is automatically final on the 61st day. Discovery is the practice of gathering information about each spouse. Before property and debt can be properly divided, you have to know exactly where you stand on everything. Some of the methods used during discovery include Request for Disclosure, Request for Admissions, Request for Interrogatories (written questions requiring written responses) and depositions (sworn testimony before a court reporter). Requests are also often made for documents such as tax returns, bank statements, loan documents, deeds, credit card bills and so on (Request for Production and Inspection). Lawyers are typically involved in this stage. At the time of filing or even after the filing of the petition, a party can request Temporary Orders. It may be necessary to obtain Temporary Orders from the court that will prohibit any property transfers or harassment from your spouse. Several counties have “standing orders” attached to the petition, which may alleviate the need for temporary orders. There are two types of property in Texas – separate property and community property. Separate property is anything that was purchased before you were married and may include a gift or inheritance. Community property is anything that was purchased during the marriage, even if only one spouse’s name is listed as the owner. Exceptions to this may be funds or property acquired by gift, devise or descent. Money in a joint account is considered to be community property. Splitting assets can be complex because they must be determined to be separate or community property. The court will look at numerous factors when deciding if spousal support will be awarded, such as any joint requests, a spouse’s ability to pay support and either spouse’s ability to work. To receive spousal support, you would need to have been married for at least 10 years. Mediation is an informal process allowing parties to work with a neutral third party to help negotiate and settle conflicts. Mediators don’t take sides and are used for the sole purpose of trying to help people reach a settlement. Parties can agree to creative settlements that could not otherwise be ordered by a court during final trial. Once the Final Decree of Divorce is signed by a judge, your marriage is legally recognized as being over. At this stage, any court orders will be carried out, including the division of property and money, and spousal support. Also, if you had a name change in your decree, it is your one opportunity to change your name back to your maiden name or a previous name without being charged for it. There are many issues involved in divorce, which is why it is important that you have an understanding of the various procedures.